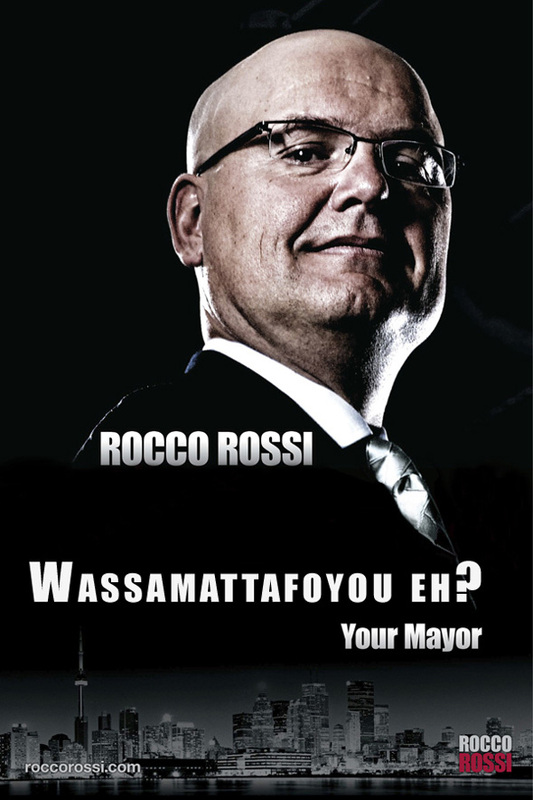 Create your own Rocco Rossi spoof ad! It comes as little surprise that a slogan-free spoof template for the recently released Rocco Rossi mafia-inspired ads has already popped up on Flickr. I mean the ads themselves could easily be mistaken as fakes without any alteration, but hey, where's the fun in that? And, with relatively simple graphics, putting together some Photoshop funniness isn't really that difficult. 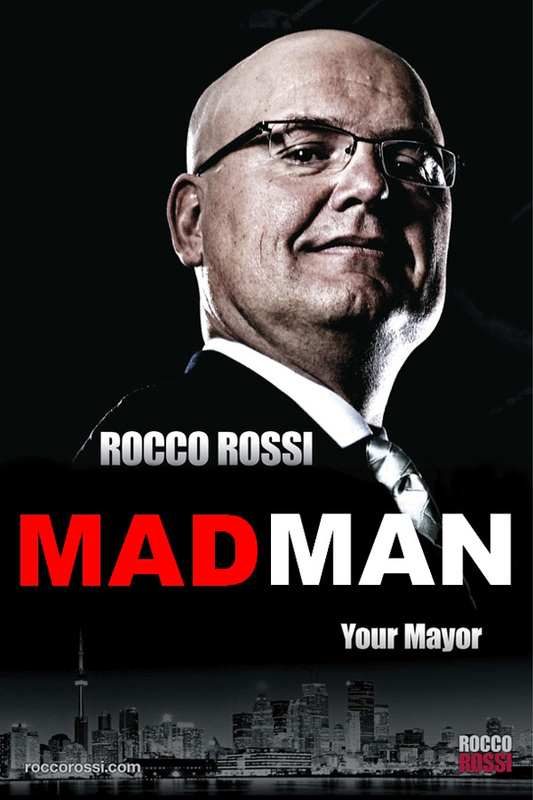 In fact, I wouldn't even be that surprised if the brand new Flickr user, Rocco Rossi Spoof Ads, wasn't someone on the Rossi team looking to drum up more attention for the mayoral candidate. 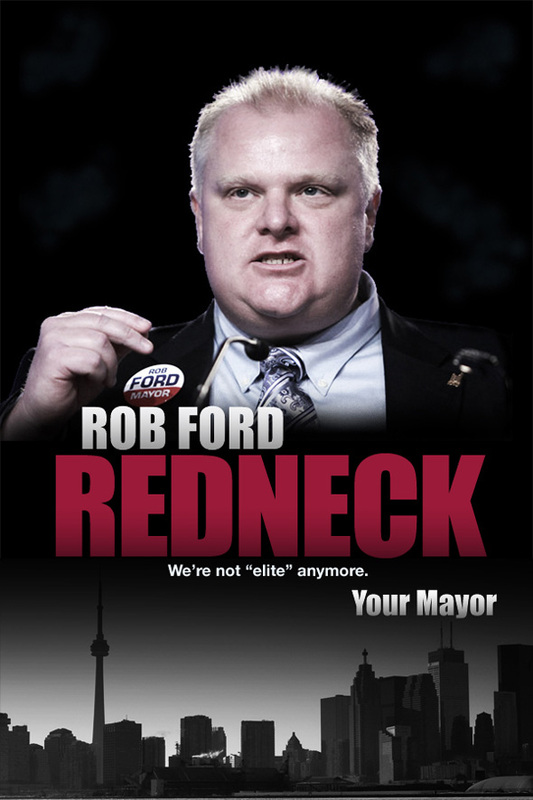 After all, Rob Ford's campaign has, at every turn, confirmed the old adage that all press is good press. On the other hand, it's entirely possible that this spoofing lure is the work of another candidate looking to embarrass the Rossi camp. Or perhaps it's just the bored fiddling of a citizen who thought it'd be entertaining to poke some fun at a bit of bad advertising. What I do know is that the one example of a completed spoof ad in the three image-strong Flickr stream is pretty lame. So, allow me to throw the gauntlet down. Given this link to a slogan-free poster, I challenge you to create your own Rocco Rossi ad (or series of ads if you're feeling really creative). Hell, they don't even need to be about the mayoral race. They could be about anything that you deem worthy of the effort. Add text, play with the graphics, do both - whatever you think is compelling or funny so long as it's not prejudicial or completely inappropriate. To get your spoof added to this post - and the more the merrier as far as I'm concerned - you can add your version to the blogTO Flickr pool with the tag RossiSpoofAd, send it as an attachment to editors[at]blogto[dot]com, or email us a link where we can find your work. So send them our way and let's see if we can't improve upon what is a pretty dreadful campaign. Along with the myriad spoof ads that have been added to this post, the genesis of this little exercise, Flickr user Rocco Rossi Spoof Ads, had done the democratic thing and added slogan-free spoof templates for all the leading mayoral candidates. Check them out here, and send them our way to be posted! 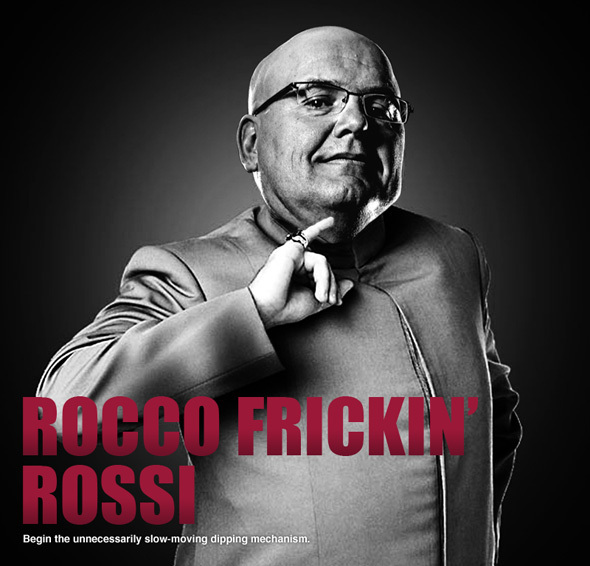 (not to be confused with Rocco Rossi Spoof Ads). From Brian GilhamFrom Bruce McDonaldAnd finally a Rob Ford spoof!